The NHL Combine is next week in Buffalo, New York and Kelowna Rockets defenceman Lucas Johansen will be there. The 18 year-old has been busy working out with a trainer in Port Moody to make sure he is ready for fitness testing under the watchful eye of NHL scouts. 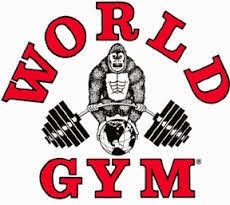 "It is a pretty quick turnaround to get your strength levels as high as you can, as quick as you can. My trainer and I, we had a specific plan that we wanted to conquer before I left. We have a couple of more days before I leave to put the finishing touches on the time we had". 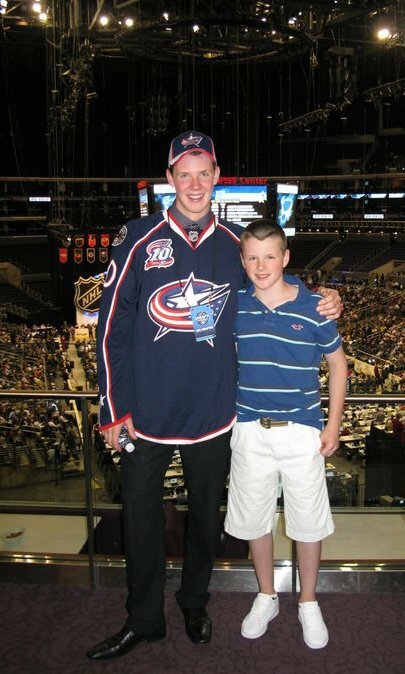 Johansen, who will undoubtedly be interviewed by several NHL teams at the Combine, is projected to be a late second round pick in next months draft. "I can see it being intimidating with some of the big names in the NHL and the GM's all there asking you questions. I am sure it could get to your head if you let it. I have always been an easy going guy with an open personality. I am not too worried about it and it should be exciting", Johnasen added. The Combine starts Monday with testing later in the week. The Kelowna Rockets set a Memorial Cup record in 2004 and it remains safe for yet another season. The Rockets allowed three goals against in four games and ended up beating the Gatineau Olympiques in the championship final with a 2-1 win. The record won't be threatened at this years tournament in Red Deer after the London Knights allowed two goals against last night in a 5-2 win over Rouyn Noranda. The Knights, who advance to Sunday's final, have allowed five goals against in three games. 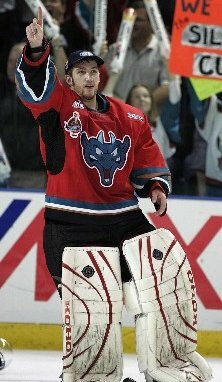 Kelly Guard (pictured) was the stabilizing force behind that Memorial Cup record and was subsequently named the MVP of the 10 day tournament. The host team went 4 and 0 in the tournament, winning by scores of 1-0, 4-1, 2-1 and 2-1. Wayne Pansegrau has an odd fascination for ice. 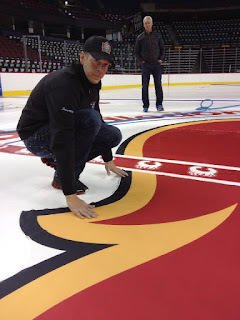 It's that passion that has the Kelowna resident attending the Memorial Cup this week in Red Deer overlooking the crews making the ice surface for the 10 day tournament. Pansegrau's company, Top Shelf Arena Services, is contracted out by the Canadian Hockey League to make sure the ice surface is at the top of it's game. "We will come out and we will do a couple of scrapes and an edge and then a few floods, three or four floods. It's not really too hard. The games themselves, having one game a day, isn't too taxing on the surface. It is the practices on Thursday that will give this sheet it's greatest test." Pansegrau says if the ice isn't good, the players will tell him about it. "In a tournament like this you definitely hear about it whether it is good or bad. The biggest thing for ice and the quality of it is humidity. With no humidity, I don't see any issues with heavy snow on the ice or anything like that". Pansegrau's passion for making ice is well documented. The Rutland Senior Secondary grad was a member of the ice crew at the 2010 Winter Olympics in Vancouver and most recently participated in the 'Stadium Series' where an NHL regular season game is played outdoors. The list of potential candidates continues to grow for the vacant head coach position with the Kelowna Rockets. The job was left vacant this week after general manager Bruce Hamilton and head coach Brad Ralph parted ways. Okanagan Hockey Academy Midget Varsity head coach Jason Becker is interested in the job. Becker is no stranger to the Western Hockey League, spending four and a half seasons as an assistant with the Prince George Cougars from 2009 until 2014 before leaving the organization. "The ability to communicate with the players is huge and figuring out the buttons you need to push with them and what you can't push. Being the person that makes them believe in what you are trying to sell them. You need to be a good salesman but you need to back it up". Becker is keenly aware of the Rockets track record and what has brought the team success over the years. "It is a team that has created quite a culture over the last number of years. They know how to win and what it takes to win. A good coach is needed, but a good coach must understand what they have created there and what they continue to do", Becker added. The 41 year-old has a strong resume, having represented Canada as a head coach at the Under 17 Hockey Challenge in 2013. The team included WHL stars Joe Hicketts, Brayden Point and current Vancouver Canucks forward Jake Virtanen. Kris Mallette believes he is ready to be a head coach in the Western Hockey League. The assistant coach of the Kelowna Rockets admits he would be thrilled to take over the vacant head coaching duties with the team if given the opportunity. Mallette is a strong candidate, considering he understood the expectations of the organization as a player and now as a coach. "I think I have paid my dues. I did work my way up through minor hockey, junior 'B', Junior 'A' and now the WHL. You are coaching junior players. The message is the same. The X's and O's haven't changed. We are not trying to reinvent the wheel here". 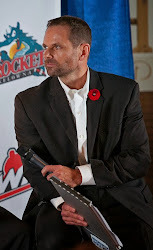 Mallette played two seasons with the Rockets in the late 90's before being traded to the Moose Jaw Warriors to close out his junior career. "This will be my eighth year coaching junior hockey players. You pick up good, bad, new things and old things. The biggest thing, the year we went to the Memorial Cup, I say it was three seasons in one. The expectations of winning were there and so that's where I think I grew most as a coach", Mallette added. General Manager Bruce Hamilton has encouraged both Mallette and assistant coach Travis Crickard to apply for the job, which came open this week when the team parted ways with Brad Ralph. "I have had success over the years to be able to have guys that want to play for me just because of the relationships I have built with the guys off the ice and that they are not just hockey players and I treat them like a person". A successor is expected to be named by the end of June. 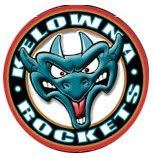 The Kelowna Rockets made a bold move at the Western Hockey League bantam draft, one the team believes will pay off in the not so distant future. The Rockets, with an abundance of third round picks heading into Thurday's draft (4 in total), used one of them to move from 20th overall to 11th in the opening round. By trading a third round pick to Red Deer, who held the 11th overall pick, and giving the Rebels the 20th overall selection, the Rockets were able to move nine spots before drafting Yorkton, Saskatchewan born Kaedan Korczak. The 15 year-old (turned 15 in January) didn't play bantam hockey, but was a defenceman with the Yorkton Maulers of the Saskatchewan Midget Hockey League this past season. Korczak is the first Saskatchewan born defenceman taken in the opening round of the bantam draft since Luke Schenn (Saskatoon) was taken in 2004. As bold of a move as plucking Korczak with the 11th overall pick, I sure liked Director of Player Personnel Lorne Frey using a third rounder on a goalie. This may seem like a no brainer, but the Rockets traditionally do not take a goaltender this high in the draft. In fact they never have, outside of choosing Josh Lepp 4th overall in 2000. That pick didn't exactly go as planned as Lepp struggled throughout his career and was eventually traded to the Moose Jaw Warriors. Since then, Frey has been very apprehensive at taking a goalie early in the draft. But even an old dog can learn new tricks. Frey elected to take 14 year-old Delta, BC born goalie Roman Basran in the third round. Jackson Whistle was a third round pick, but he was chosen by the Vancouver Giants. The last significant goalie taken in that range of the bantam draft was Jordon Cooke, who was selected in the 4th round in 2008 and Kris Westblom, who was also taken in the 4th round in 2002. 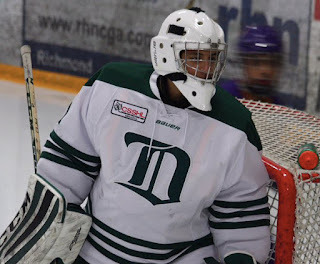 While 17 year-old Brodan Salmond is next in line after Michael Herringer to take over the number one goaltending duties with the Rockets, look for Basran to push Salmond for significant ice time in two years time. 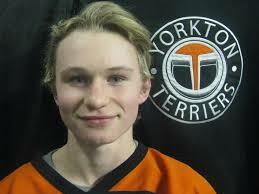 The Kelowna Rockets selected 15 year-old Kaeden Korczak (Core-zack), a defenceman out of Yorkton, Saskatchewan. Korczak was taken 11th overall as the team elected to move up in the draft, dealing their first round pick and a third round selection to the Red Deer Rebels to pick Korczak. The young defenceman played midget triple 'A' hockey this season as one of the youngest players in the Saskatchewan Midget Hockey League. "I wanted to develop more in my bantam draft year so we (family) thought it would be best rather than move away to play bantam hockey at a hockey school", Korczak told Swift Current Broncos broadcaster Shawn Mullin earlier this season. Is Korczak the next Luke Schenn? Hey, Schenn is a Saskatchewan born player and was a first round bantam pick (20th overall) in 2004.